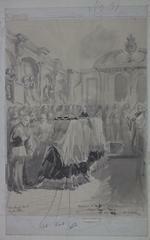 Watercolour sketch, entitled: 'Funeral of Sir John Burgoyne, St. Peters Church, Tower, 17th Oct., 1871', signed, William. Simpson. Inscribed in pencil, No. 31; colour notes added in ink. 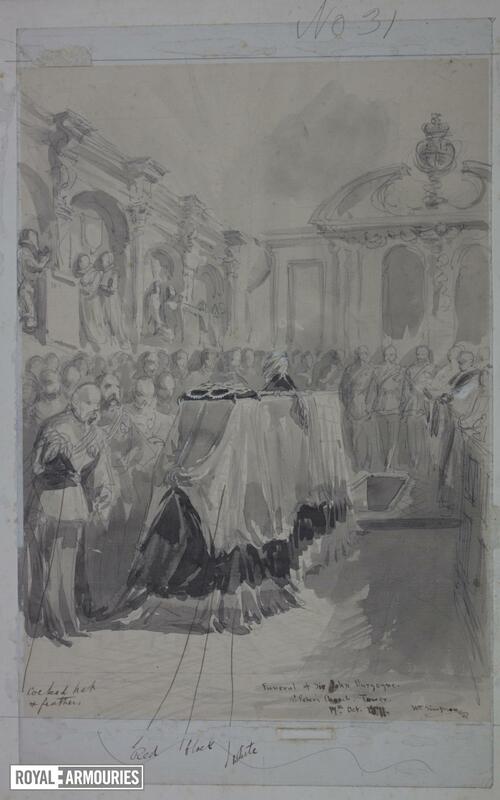 Blount tomb and reredos recognisable in background of sketch.